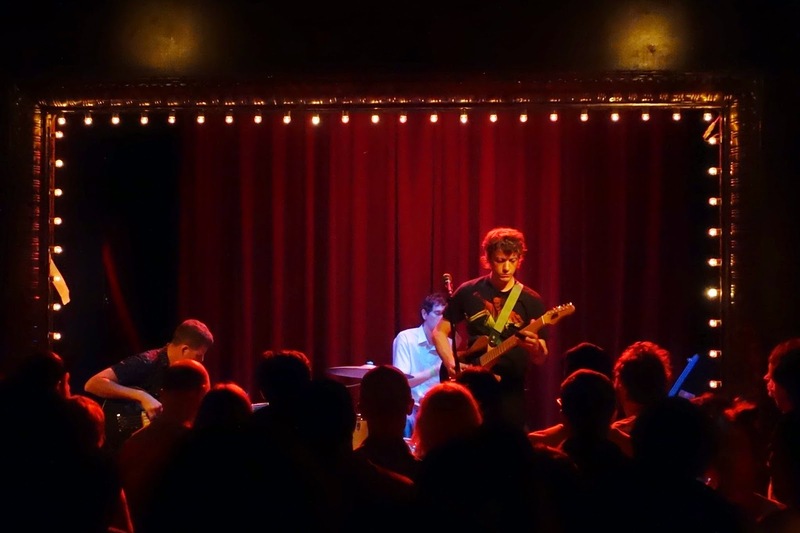 Steve Gunn is one hell of a good guitar player. 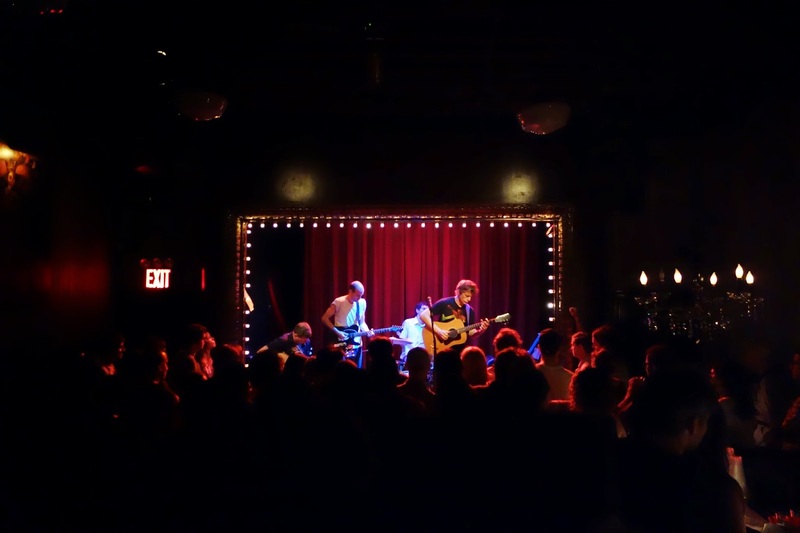 I first saw him open for, then perform with, Kurt Vile back in May. A week later I saw him again when he opened for Angel Olsen. It was at that gig I had a short conversation with him as he was packing up his gear. We talked a bit about his playing Letterman with Kurt that week before talking about his new solo material. He shared with me that he'd be celebrating the release of a new record in late June. Fast forward to the other night, I found myself scarfing down tamales and Tecates from El Diablo in the yard of Union Pool, preparing to see Steve for the third time in two months. "Time Off", Steve's brand new album, offers six sprawling tracks of earthy guitar work steeped in cabin country, front porch blues and rainy day folk. Backed by John Truscinski on drums and Justin Tripp on bass, it's a surprisingly down home collection for a guy who calls Brooklyn home. 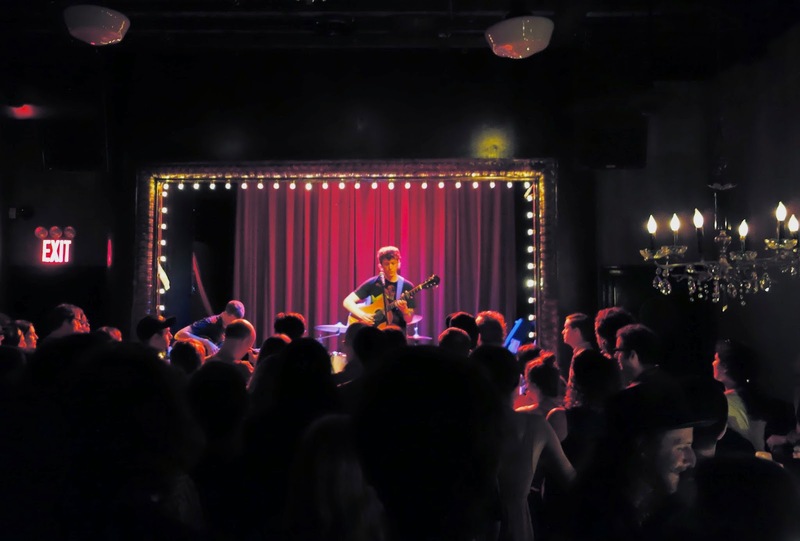 Union Pool's small music hall was jam packed on Saturday night as Steve shared his latest creations and made some new fans. Perched on a stool pressed against the back wall, I learned from eavesdropping that no one near me had any clue who he was. They'd just decided to check him out. Later, I spotted all of them at the merch table with cash in hand. Steve's music can seem boring at first. He'll pick seemingly the exact same notes for long stretches while singing sparingly in mumbles, if he sings at all. If you're mind focuses directly on what he does, you likely won't go anywhere. You need to let go for his hypnotism to work. Both live, and on record, Steve doesn't just lay his cards on the table. He challenges you to take a seat and slow down. His music rewards the patient and perceptive. Like waves meeting the shore, there is something therapeutic and stunning in the simplicity of what he summons. The repetition of his picking entrances and mesmerizes like an Indian raga. Then, Steve breaks off with either a masterful solo, a verse of muted vocals or a beautiful new set of chords to paint with. Probably riding the high of releasing his new record, Steve's set at U.P. was the strongest of the three times I've seen him. I suggest you get some tickets to the Gunn show if he's ever in your neck of the woods.